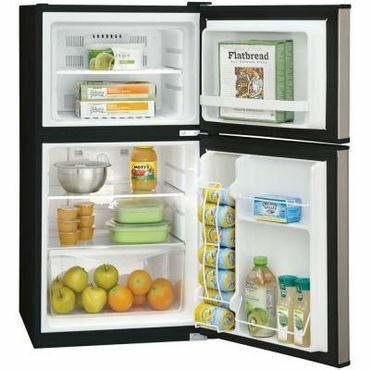 Bottom Line The 4.5-cubic-foot Frigidaire FFPS4533QM performs equally well as a refrigerator and freezer. Unlike most small refrigerators, it has a separate, insulated freezer compartment with its own door. Features include adjustable glass shelves, an enclosed crisper bin, tall bottle storage in the door and an auto-defrost function.